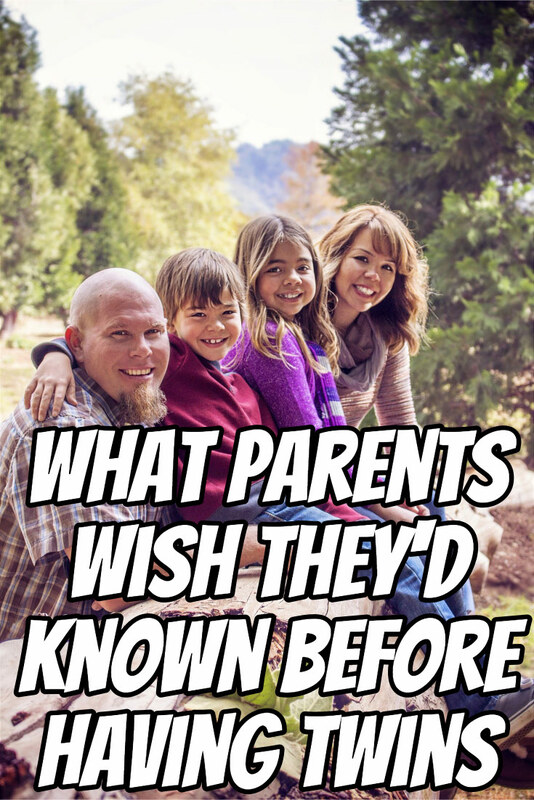 Some of their answers may surprise you. One that came up time and time again is that people say they’re going to help, but once the twins arrive those people disappear. 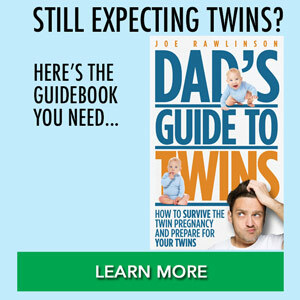 Now, getting help with twins is essential to maintaining your sanity and your quality of life. 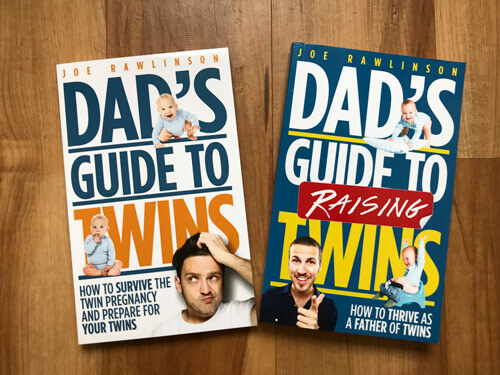 Even if you can recruit your mom, your mother-in-law, maybe your brother or your friends or family to come and help with the twins, it is essential to make life go a little bit easier, particularly in the those first few months with twins. The key to getting helpers that commit and actually follow through and actually help you is to get it in writing. Say, “Hey, will you come help me on this date and this time with this activity?” Maybe Tuesday afternoon at three o’clock I need you to come watch my other children so that I can help the twins through their feeding. Another thing to remember is don’t take it personally. People are well-intentioned and they want to help you, but life gets in the way. They do not understand how hard it is to have twins. And so when they say, “Hey, if you need any help, let me know.” And then when you do ask for help and they’re not available, don’t take it personally. They just don’t understand how hard it is for you and how desperately you need help. The next thing that parents wish they had known before the twins arrived was just how crazy it is to have two children of the same exact age. Everything that you go through with your twins, they go through together. So, the newborn phase, sleep deprivation phase, teething, crawling, walking, transitions from cribs to beds, potty-training, all of these things happen in a very consolidated, concise timeframe. You go through these very intense seasons together with your twins over and over and over again. And that’s a lot of work. It takes a lot of effort. Some of those things you can maybe stagger a little bit and maybe naturally your twins may be one ahead of the other, something, for example, potty-training. You can train one and then the other. But oftentimes you have to bear the burden of both of them at the same exact time. Be mindful of their individual identities. 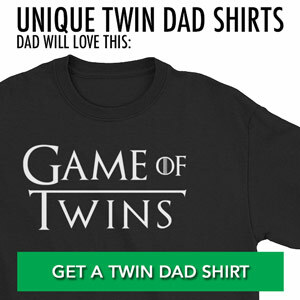 Many parents have the tendency to dress their twins the same in the same exact clothes or same exact patterns or to always group them together. I’ve heard some regrets from parents that they wish they had helped foster their twins’ individuality earlier on in the process. 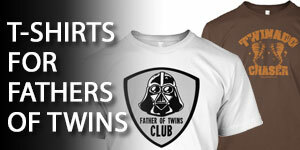 Of course, when they’re infants, when they’re babies, it’s easy to dress them alike. It’s cute. It’s adorable. But as they start to grow and have a mind of their own, and own expressions and opinions, it’s important that you let them express themselves in those different ways because they are unique individuals and they’re going to have distinct interests, talents, and abilities. Now multitasking itself, of course, is a myth. You cannot do two things at the same exact time. You’re constantly switching between those tasks, even if it’s very quickly. The challenge with twins is that you have to learn to multitask. You have to be able to do two things at the same time. Now often you may have to help one twin get in a particular situation and then bring the other twin in and help that baby as well. Feeding is a perfect example of this, where you get one baby feeding and then you get the other baby feeding at the same time. So eventually, you are multitasking, you are feeding both at the same time. But you had to help them one at a time. With twins, it is essential that you prioritize and triage which child you’re helping first and then quickly move onto the next. Such that you’re going to get so good at that transition that it happens very quickly and you get the illusion of multitasking, you’re meeting both of the twins’ needs, even though, in reality, you helped one first and then the other. It is not a disaster if your living room, or your house, is a mess. It’s not a disaster if you haven’t done the laundry. It’s not a disaster if you haven’t cleaned your house in I can’t remember how long. This perspective is essential to have when you are in the throes of raising your twins. Your priority is your health, their health, and well-being. Some things are going to fall by the wayside. If that is the cleanliness of your house, so be it. Remember to take the stroller with you wherever you go. Even if your twins are starting to grow and they’re in a toddler stage and they are “independent” and they can get about by themselves. They’re going to wear out and you do not want to have to carry them. Make sure you take that stroller with you just in case they get worn out and are tired, which they always do. Get out of the house as often as you can. The tendency is for you to just cocoon up in your house and take care of those kids. It is a constant struggle and you feel like you don’t have the means, the plans, or the energy to get out of the house. However, it is important that you see the sunlight, that you get out of the house and take a break, even if that’s taking the twins with you in the stroller to the store or to run errands. Or once your spouse gets home you leave the babies with your partner and then you get out of the house for a break. It’s important that you get out of the house to help maintain your own personal sanity. Accept the fact that some things are completely beyond your control. Your twins may have medical complications because they were born extremely premature. That’s out of your control. Your twins may have some developmental challenges as they develop their speech or their motion. And that’s out of your control. That’s just how they are. You can help navigate through those challenges, but just don’t feel guilty or blame yourself for some of those complications because they’re out of your control. 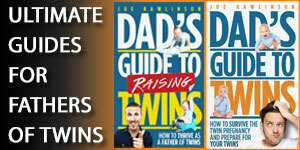 Your twins will end up dictating how you are going to parent them. You may have an ideal scenario in your mind of how they’re going to be fed, what kind of schedule they’re going to have, how they’re going to sleep, and the reality is, once… you’re actually in the trenches with them, those things change, and they may change on a daily basis. You may try breastfeeding and it doesn’t work. You may try bottle-feeding, a particular type of bottle, and that bottle doesn’t work. You may try a particular formula, they don’t like that, you have to switch to another formula. You may try having them sleep in your room, that doesn’t work, in their room it doesn’t work. All of these things require flexibility on your part. It’s great for you to have initial plans of what you’re going to try with your twins, but then when you’re in the trenches, you have to see what’s working and what’s not working, and adjust accordingly. Another thing is that parents realize that they were never really busy, really, really busy, before the twins arrived. 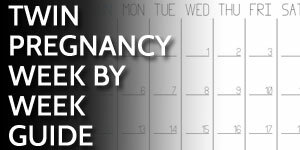 Enjoy your peace, enjoy your quiet, enjoy the calm before the storm if you’re still expecting your twins because once they arrive, it’s going to be nonstop activity, motion, and care for those little babies. It will seem that twins are more than just double the work. It’ll seem that they’re triple the work. The math doesn’t seem to add up, but that’s the reality of how it is with twins. Each of them has intense needs in the moment, and there are two of them. Combine that with the fact that you’re having to care for two babies, and are not able to care for yourself, you’re wearing yourself down and it makes it feel even more overwhelming. Taking care of twins feels like you’re taking care of more. But if we talked to parents of triplets or quadruplets, they’ll tell you that’s not quite the case. It’s all relative to what you’re experiencing as a parent, and it will feel overwhelming at times. 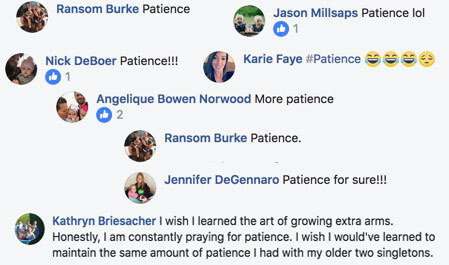 One thing that I heard over and over and over again was a need for patience. Patience is the key to parenting your twins. You’re going to have some challenges that you are expecting. 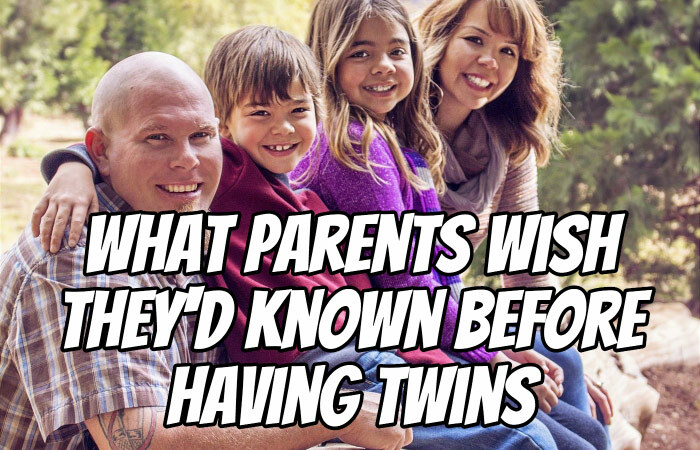 Maybe you heard from other parents of twins that that’s the case. And when those challenges do come, you have to remember to be patient. When something is not working properly, you have to be patient. When you change your plans to accommodate the needs of your twins and that still doesn’t work, you have to be patient. Remember that your twins are not trying to drive you crazy, they are not trying to make you mad, they are not trying to make your life miserable. They just need your love and they need your attention, particularly in those early months and years. Your twins need your love, support, and care at all hours of the day. This does require extreme patience on your part to make sure that you are balancing their individual needs, your other children’s needs, you and your partner’s needs. So remember to be patient. When you’re feeling frustrated and you’re worn down or you’re tired or angry, just remember that this too shall pass, and be patient. There is some light at the end of the tunnel. As each passing day goes by, and week, and month, your twins get more and more self-sufficient. They feed better, they sleep better, they act better, and you figure things out as you go. You will come out a better parent because of the things that you’re learning as a parent of twins. How about you? 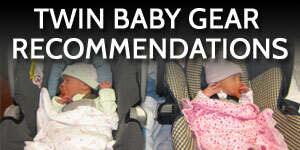 Have you had things that you wished you had learned before the twins arrived? Leave those in a comment below and share with us, your fellow parents of twins what your experience has been like.